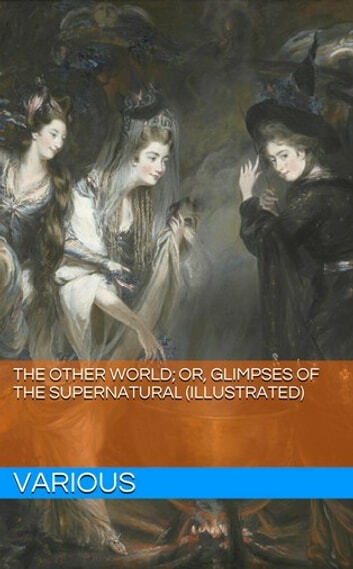 OR, GLIMPSES OF THE SUPERNATURAL. These volumes have been compiled from the standing-point of a hearty and reverent believer in Historical Christianity. No one can be more fully aware of their imperfections and incompleteness than the Editor; for the subjects under consideration occupy such a broad field, that their treatment at greater length would have largely increased the bulk of the volumes, and indefinitely postponed their publication. The facts and records set forth (and throughout, the Editor has dealt with facts, rather than with theories) have been gathered from time to time during the past twenty years, as well from ordinary historical narrations as from the personal information of several friends and acquaintances interested in the subject-matter of the book. The materials thus brought together from so many quarters have been[Pg viii] carefully sifted, and those only made use of as would best assist in the arranged method of the volume, and suffice for its suitable illustration. The Editor regrets that, in the publication of so many recent examples of the Supernatural (about fifty), set forth for the first time in the following pages, the names of the persons to whom those examples occurred, and in some cases those likewise who supplied him with them, are withheld. The truth is, there is such a sensitive dislike of publicity and of rude criticism consequent upon publicity, that very many persons shrink from the ordeal. However, it may be sufficient to state that the Editor holds himself personally responsible for all those here recorded, which are not either details of received History, or formally authenticated by the names and addresses of those who have supplied him with them. Many examples of the Supernatural in modern times and in the present day are here published for the first time, in an authoritative and complete form.